I’ve been in Amsterdam for just less than two weeks and I’ve finally gotten a moment to sit down and write! It’s been quite the whirlwind of an adventure so far. After a 26 hour flight from Hawaii to the Netherlands, I made my way to my apartment building right outside the city center. It’s in a great little area just a 10 minute bike ride from central station and the heart of the city. My program has been great so far, the whole first week has been full of orientation. Aside from all the practical matters that they covered (like buying a bike! ), we’ve been doing a fair amount of cultural activities. The highlight so far has been the canal cruise with a guided tour by a Dutch art history professor. On Friday we traveled North to visit the Zuiderzee open-air museum. 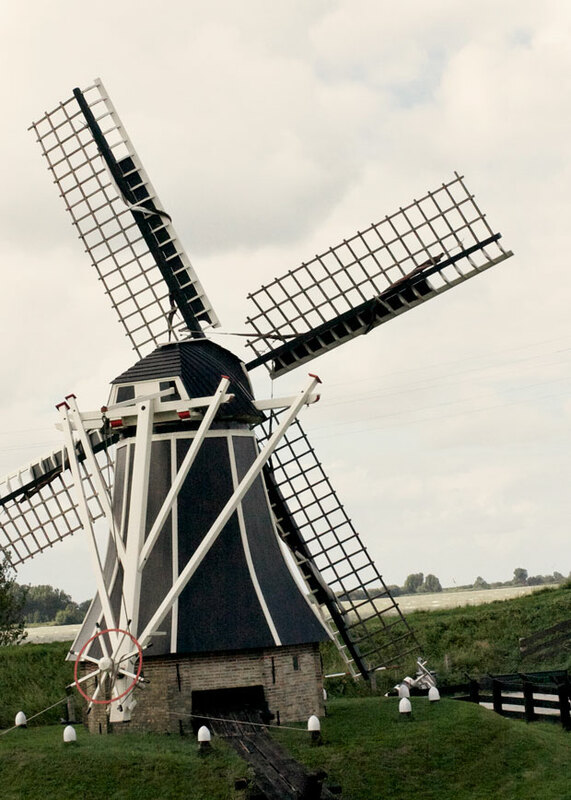 This unique museum has actual houses from different eras in Dutch history, as well as lots of working windmills. The stormy weather that day was less than ideal, but the typical Dutch weather was bound to arrive sooner or later. I’ve been doing my fair share of getting hopelessly lost. 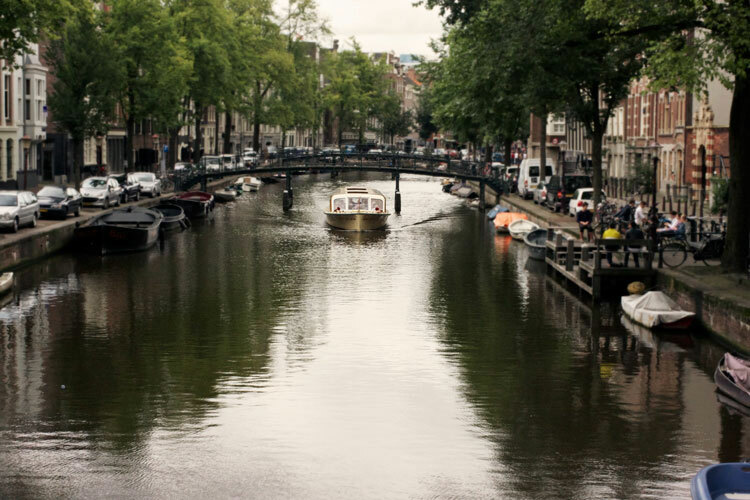 I’ve been trying to orient myself with landmarks, but practically every street has a gorgeous old house, a canal lined with flowers, a bar with a Heineken sign out front, and a coffee shop. While it makes for gorgeous scenery, it doesn’t really make for an easily identifiable route. Combine that with the fact that the street names change randomly and the circuitous nature of the city and you’ve got a group of completely disoriented study abroad students. The Dutch often have the reputation of being rather direct (often interpreted by tourists as rude), but I’ve been met with nothing but friendliness! When people see me on my bike with my map blowing about in the wind and a concerned (sometimes almost tearful) look on my face, they do tend to stop and help. A couple times these do-gooders have offered to bike me there and so, I must admit, I have ending up following a strange man home! My Dutch is not quite as strong as I would like, but I’ve been doing better than I expected. The Dutch do tend to speak English to you, though, if they think you’re a tourist. I consider it such a success when they think I’m a local and speak Dutch to me that I just go with it! There’s been a lot of nodding and “yah’s” on my part, but I’m hoping they just think I’m a quiet European rather than an utterly confused American. I had a whole conversation with this man on the tram about a Dutch movie star (I think?) that mostly consisted of me laughing when he paused and looked expectantly at me. So far I’m in love with the city– and positively enamored with the typical Dutch imagery of windmills and bicycles, which are everywhere! The Dutch are particularly fond of their drinks, their football (European football of course!) and partying until the wee hours– but more on that next week! This entry was posted in 2012-13, Emma de Vries '14, Netherlands. Bookmark the permalink.